Founded in 2003, Etihad Airways is the national carrier of the emirate of Abu Dhabi, United Arab Emirates, and is based at Abu Dhabi International Airport. Operating a fleet of narrow and wide-body Airbus and Boeing aircraft, Etihad operates a rapidly expanding network of services within the Middle East and to Europe, Asia, North America, Canada and Australia. In addition to its core activity of passenger transportation, Etihad earns significant revenue from its cargo operation, Etihad Crystal Cargo. By Capa Aviation. ETIHAD NAMED "AIRLINE OF THE YEAR"
Etihad Airways has taken out the �Airline of the Year� award at the 2015 Aviation 100 Awards, organised by Airline Economics magazine. The prestigious awards are voted for by the industry and recognise outstanding achievement in the aerospace sector, with Etihad Airways claiming the coveted �Airline of the Year� title. The awards follow a milestone year, which saw the national flag carrier quantum leap its level of growth, launching 10 new routes including three in North America, and injected significant investment into new equity partnerships. Last year, Etihad Airways also revealed a brand new look with new livery, uniforms and onboard offerings, with its first-of-kind �Residence by Etihad�� concept changing the face of luxury commercial air travel. Etihad Airways president and chief executive officer James Hogan, said that the Aviation 100 awards join a growing list of acclaimed international accolades won by Etihad Airways. �We are immensely proud that the achievements we made in 2014 have been recognised by our peers in the industry. These awards remind us of the significant progress the airline has made in such a short space of time,� Mr Hogan said. Airline Economics managing editor Philip Tozer-Pennington, said that the Aviation 100 Awards are the airline industry�s largest votes-based awards. 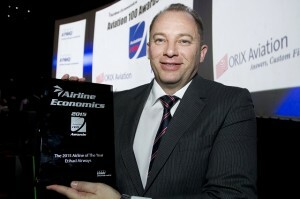 �The Airline of the Year vote recognises performance in fleet and financial management and execution of business plan � which in the case of Etihad Airways also takes into account its amazing ability to expand at very little cost into key markets across the globe in 2014,� Mr Tozer-Pennington said. Following the announcement by Etihad, Abu Dhabi�s national airline, of flights to Entebbe in the first half of 2015, has the airline now added Dar es Salaam to the growing list of new destinations planned for late next year. Already flying daily to Nairobi, in code share with Kenya Airways, will the expansion to Tanzania and Uganda next year offer new options how to reach Entebbe and Dar for business or safari vacations while giving the nationals and expatriates of the two new Etihad destinations a wider range of choices which airline to fly with when leaving for abroad. In Entebbe does Etihad have to contend with such giants like Emirates and Qatar Airways, and come next weekend FlyDubai for passengers to the Gulf and beyond while in Dar es Salaam Etihad will meet their closest rivals again, as Emirates has only recently announced they will add more flights to Dar while Qatar Airways flies there daily. Etihad, like Qatar Airways, will use their Airbus A320 on the routes to Entebbe and Dar es Salaam, making for tough competition with Emirates which uses exclusively wide bodied aircraft on all their routes to East Africa. Etihad�s A320 features 16 seats in Business Class and 120 seats in Economy class. Tanzania�s newfound riches in gas discoveries in the waters off the coast are expected to bring in much additional investor interest, in particular from the oil and gas rich countries of the Gulf, but the country�s tourism attractions like Mt. Kilimanjaro, the Ngorongoro Crater and the Serengeti are also going to be major magnets for passengers to use the new services when they are launched. Watch this space for breaking and regular aviation news from the Eastern Africa region. Etihad Airways, which holds a 40 percent stake in Air Seychelles, has yesterday reclaimed the trophy of �Best First Class� for the fourth year running, but also added two more, �Best First Class Seat� and �Best First Class Catering� to their trophy cabinet. The airline�s COO Peter Baumgartner, in a media release received overnight, let his joy over the awards a free reign when he said: �It is a huge accomplishment to take home the top honours in every First Class category again, underlining our leading premium product proposition. Etihad Airways has, in just 10 years of operation, risen rapidly in the Skytrax rankings because we are continually investing in innovative new product and service concepts. We believe that world-class hospitality should not be limited to hotels and restaurants, so we are elevating the travel experience by bringing the best of hospitality to every touch point in the journey�. Both Air Seychelles, with their A330-200 and Etihad, flying in code share with Air Seychelles but using A320 narrow body aircraft on the route, only offer business and economy class on the route, but passengers connecting in Abu Dhabi to Etihad flights � many are codeshared with Air Seychelles � can experience these award winning service levels when switching to First Class travel. Congratulations to Etihad for these latest rewards for persistently high quality. Etihad Airways and Air Canada have signed a Memorandum of Understanding (MoU) for a commercial cooperation agreement that will enhance travel services between the United Arab Emirates and Canada. While the two carriers currently have interline agreements in place for passenger and cargo services, Etihad Airways and Air Canada intend to offer customers through-checked bags, reciprocal codeshare services and frequent flyer benefits. The MoU provides for reciprocal codeshare services to Etihad�s Abu Dhabi hub and select points in North America served by Air Canada via its Toronto hub. The two parties have commenced discussions to finalise details with the objective of introducing codeshare services in the third quarter 2013. The agreement will also allow frequent flyer mileage accrual on codeshare flights by members of Etihad Guest and Aeroplan programmes and reciprocal premium lounge access at Toronto and Abu Dhabi airports for eligible passengers of both airlines. This announcement follows the recent decision by the Governments of the UAE and Canada to restore the previous visa regime which means Canadian nationals can once again obtain a free visa on arrival in the UAE. 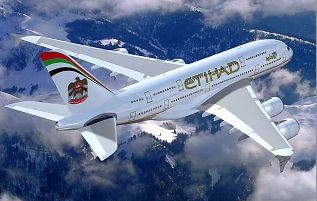 James Hogan, Etihad Airways� President and Chief Executive Officer, said: �This is without doubt a significant development in the relationship between Etihad Airways and Air Canada and very much supports the aim to simplify travel between the United Arab Emirates and Canada. CANADA - Etihad Guest, the frequent flyer program for Etihad Airways, has attracted 100,000 members in just six months. Launched in August 2006, members from 145 countries have already enrolled and many have flown sufficient miles to attain silver or gold status in the reward program. Within Canada, membership has exceeded 2,824. Peter Baumgartner, Etihad Airways' executive vice president, marketing and product, said: "It is a major achievement to have broken the six-figure mark so early in the program's launch and it is indicative of the innovative services we are providing to our members. We are confident of attracting thousands of additional members as Etihad's global network expands." Etihad recognises that flexibility is the ultimate mark of respect to its loyal guests. As such, it is one of the few to offer all its members the possibility of using a combination of miles and cash when redeeming rewards with its Miles+Cash feature. Using the online slider tool, Guests enter a combination of miles and cash values into the relevant MyMiles or MyCash fields. By moving the innovative slider bar they are then able to calculate which proportion of the two will work best for them at the time of redemption. Peter Baumgartner added, "Delivering true value, immediate rewards and personalized service is what we set out to offer with Etihad Guest; providing our loyal passengers with the recognition they deserve along the entire travel chain. It is this attention to detail in understanding how our members want to spend their miles that sets Etihad Guest apart from other frequent flyer programs." A 'Reward of the Day' feature on the airline's website is available for Etihad Guest members. Recent offers included a $1,000 Etihad Holidays voucher for members who have collected over 93,500 miles. Etihad Guest partners include airlines, hotels, tour operators, car rental, healthcare and financial services. Members start with the Etihad Guest card and move to silver tier membership at 25,000 miles and gold membership after 50,000 miles flown. Silver and gold members also receive a range of additional benefits, including airport lounge access, priority booking, excess baggage allowance and secure online account access. Members can also redeem their miles for half-price tickets on selected destinations before May 31st. Etihad Airways is the national airline of the United Arab Emirates based in the UAE's capital, Abu Dhabi. Currently Etihad offers flights to 38 destinations in the Middle East, Europe, North America, Africa and Asia.